Keeping you up to date with the latest information in your area of interest. The following current awareness bulletins provide the latest information on a variety of health topics. The ESTH bulletins are in a blog format. If you would like to receive an alert of new blog postings please enter your email address into the Follow by Email box on the right-hand side of the blog page. If you have any comments or suggestions about the bulletins please contact Manda.Atkinson@nhs.net. 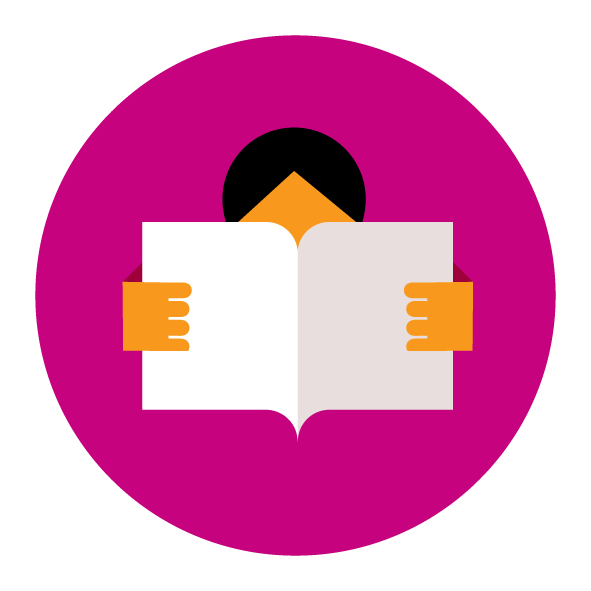 We produce resource sheets to highlight the range of resources that can be borrowed or accessed electronically on a particular topic. These can be used for a particular national campaign (e.g. Diabetes Awareness) or internal promotional events. If you would like us to produce a resource sheet to tie in with a campaign you are involved with please email esth.hirsonlibrary@nhs.net. BrowZine (opens in a window) brings together e-journals from different publishers, and presents them in an easily browsable format. You can browse current and back issues of most of our titles and you can organise your journals on a virtual bookshelf. You can also set up an email alert when new issues of these journals are published. Twitter is an easy way to keep up to date with developments in the Trust and what other organisations are doing – you don’t have to tweet! Learn how to set up a Twitter account by coming to one of our Twitter Thursday lunchtime sessions. On an annual basis the Library Team working together with the Research Department performs searches to find out how many Epsom and St Helier authored papers there are in the medical health databases including the NICE Healthcare Databases (HDAS) and PubMed. Please click the links below to see the results for various years. A full text copy of any of the articles listed is available by contacting the library at: esth.hirsonlibrary@nhs.net. If you have authored papers during one of the years that are featured in the reports, and it is not listed please contact Marisa or Potenza via esth.hirsonlibrary@nhs.net and they will ensure that your publication is added to the correct list. Please note that the Library can support you with your research publication by providing help with information and literature searching, training sessions on how to search the medical health databases including Medline and Embase. In addition they can support you with using free reference management software including Zotero and Mendeley. Additional support includes help with referencing your papers and accessing statistical packages including SPSS (Statistical Package for the Social Science). To find out more contact Marisa or Potenza by email at esth.hirsonlibrary@nhs.net. If you would like to suggest books that we should purchase to enhance our library stock please email the Library Team at either esth.hirsonlibrary@nhs.net or esth.libraryepsom@nhs.net with the following details: author, title, publication year and ISBN (if known). RSS stands for ‘Really Simple Syndication’ or ‘Rich Site Summary’. It uses technology to feed the latest news headlines, blogs, and videos etc. straight to your desktop. Therefore it allows you to stay easily informed by retrieving the most up to date information from the sites that you are interested in. A "RSS reader (opens in new window)", presents the data feed to your desktop. You can subscribe to a RSS feed either by entering a feed's URL (opens in new window) into the reader or by clicking on the browser's feed icon (opens in new window). Using RSS Feeds will save time and ensure privacy by not having to join each site’s email newsletter. When saving your searches in databases such as the British Nursing Index and Medline you get an option to set up an alert. This means that whenever a new article, which contains your search terms, is published in that database you are automatically emailed a reference to it. The staff at our libraries can perform searches for quality healthcare information from journal articles, book chapters, reports and more. We are also available to teach you how to perform your own searches if you prefer and have the time, this includes setting up alerts. Please see Training sessions. To save you time and the effort, we can also set up the search alerts for you, once we’ve completed the literature search you requested on a specific topic. Resource of the month: BrowZine allows you to access and browse e-journals from different publishers in one simple interface. You can create a personal bookshelf of your favourite e-journals.